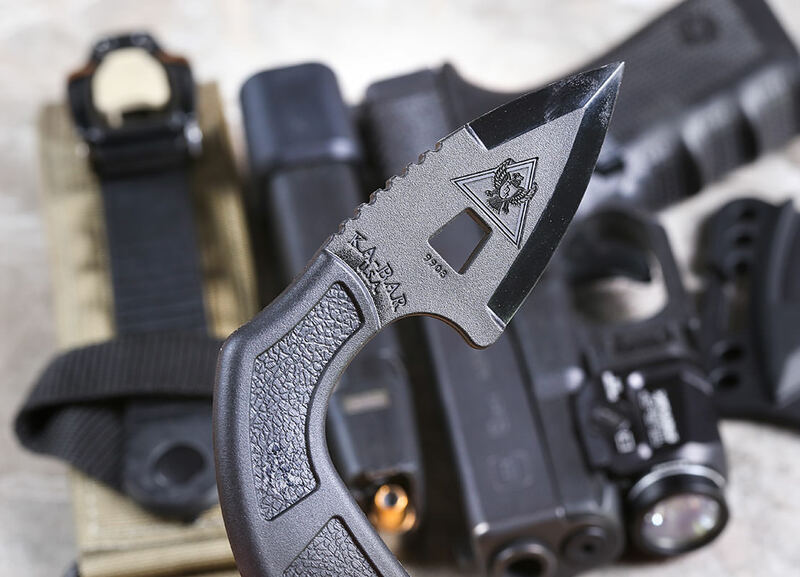 I did not even know this existed, Ka-Bar decided to take a really good idea and make it in Ultramid B3EG6, a synthetic hard plastic material, and call it the Shark Bite . I have not tested it at all, but will soon. The carry system can use a little bit of work but I understand the design concept. Behind it you can see a 2.0" RMTourniquet, a Glock 19 with a Streamlight TLR-7 on it.